Are you a tenant? Would you love a guide on where to look and what to do in order to find a successful property? Do you need information on how to have a great landlord/tenant relationship? On the surface, it appears this site is geared toward landlords. Look further and you will see the whole point of this website is to provide the knowledge that can be the power to have a successful and prosperous experience for both tenants and landlords. I’ve put together this tenant’s guide to finding and getting a great property — split into four steps. Finding a great place to rent is the first step in this guide. There are seven places where landlords advertise their listings — this is your map for finding the best place so check them out. We are all human and love to get the best price. As a tenant, you want to make sure you get the best price and start off on the right foot with your landlord. 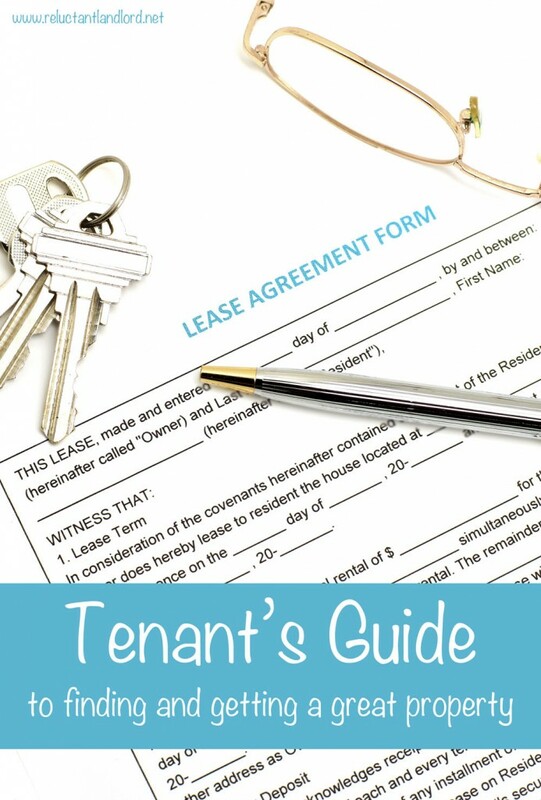 Read Tenant Negotiations Made Simple to get some advice on this topic. Remember this is your landlord’s business. You want him/her to be profitable. It’s no different than Target, Panera, or any of your favorite places. If they are not profitable, they won’t stay in service. It’s the same thing with your landlord! Do you have a pet? If you love the house, but the landlord does not allow pets, use these tips to convince the landlord to accept your furry family member. I think this is the most important part to the entire guide. Your lease is your written contract with your landlord. 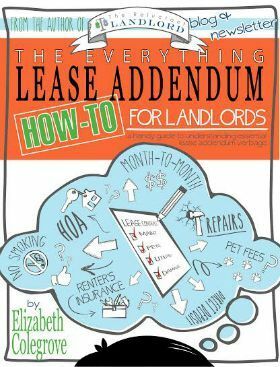 You and your landlord will hash out ALL of the terms of the lease. This will include the big stuff like price, but it may also include where you can park your car or put your trash. As you verbally go over the lease with your landlord, make sure you fully understand it and that all of the terms that you have agreed to are reflected in the lease before you sign it. If it’s not written, it doesn’t count. I have a 14-page lease; don’t let that scare you! Embrace it! As a landlord I have found that it makes everyone’s life easier! Learn more about the lease here. 1. Break Lease Clause: The Buy Out Clause – Honestly this is great for all parties. Life happens and people often need to reevaluate. While a year doesn’t seem long, you would be surprised what can happen. While it might seem to favor the landlord, it honestly is great for tenants too. Under current rules, you owe rent until you are replaced with new tenants. While a landlord should be able to replace you, what happens if he doesn’t? You have no control over the situation and you are required to continue paying until your lease ends or a new tenant is found. There is no incentive or requirement to lower the rent to get someone into the house. So if it is October and your lease ends in March, guess what — you are responsible for the rent until March. Thought: If you read Who has Custody of Your Money? you might think you are off the hook. If you have a federal position, care about your credit score/eviction record, get a tax return, etc. that is all fair game. 2. Reverse Military Clause – A lot of military members have reverse clauses in the lease in case they move back into the area, which I discuss in Military Moves: Are you Protected? I have even heard that some states have this in their federal law. If you don’t want to move mid-duty station, examine the lease closely for this clause. If you are in love with the house, ask the landlord frankly how likely this is. Also know that if you only sign a one year lease that the landlord doesn’t have to renew. So choose terms wisely! As I wrote about in Why Landlords Need to Document Everything, unless it is in writing, it doesn’t exist! So do not count on anything unless it is in the lease or in a signed addendum. In my experience, email and texts count as writing, so they are my favorite forms of communication. Send in your Security Deposit! I personally am a huge fan of direct deposit and it starts with the security deposit. It’s great for you as there is no remembering or forgetting! Mail can get lost. Reluctant Landlord’s goal is for everyone to succeed in real estate. Real estate is the definition of mutual assured distraction. If one party loses, they both lose. What advice would you give to tenants? I hadn’t thought about having a discussion about the lease before! I really like your suggestion to hash out all the terms with a landlord before signing. I’m in the market for a new place right now, but I’m still not sure if I want to buy or rent. If I do end up leasing again, then I’ll have to make sure I do have that discussion. Thanks for the help!